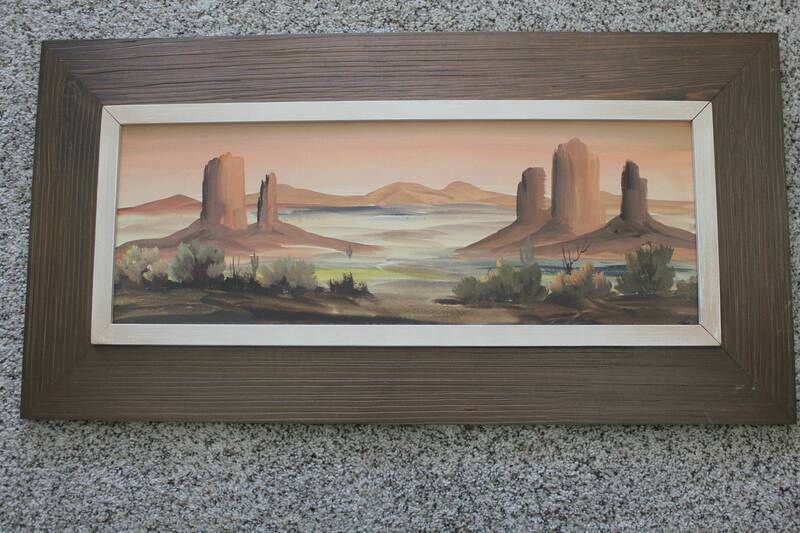 A pair of vintage southwest desert watercolor paintings of rock formations in landscape. 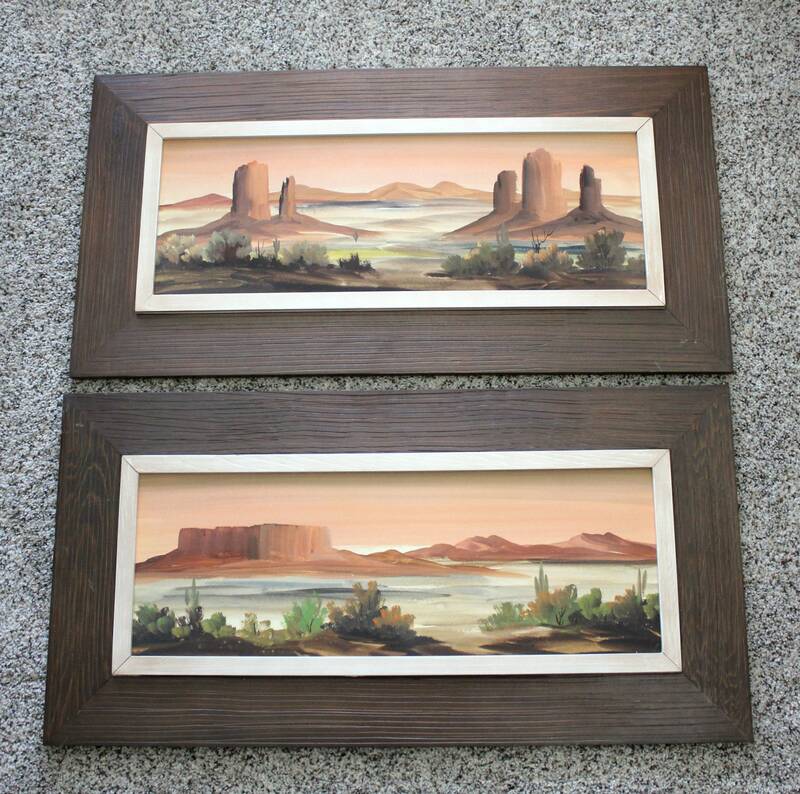 They are in a wooden frame and both are artist signed. 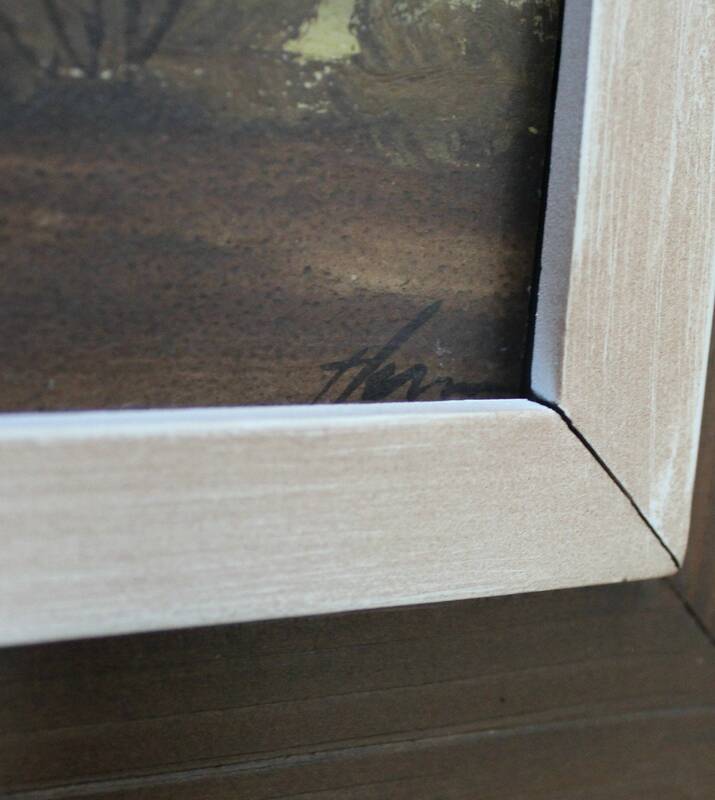 I am unable to make out the signature, and it's partially hidden, but I've posted a photo of about the best I can see of it. 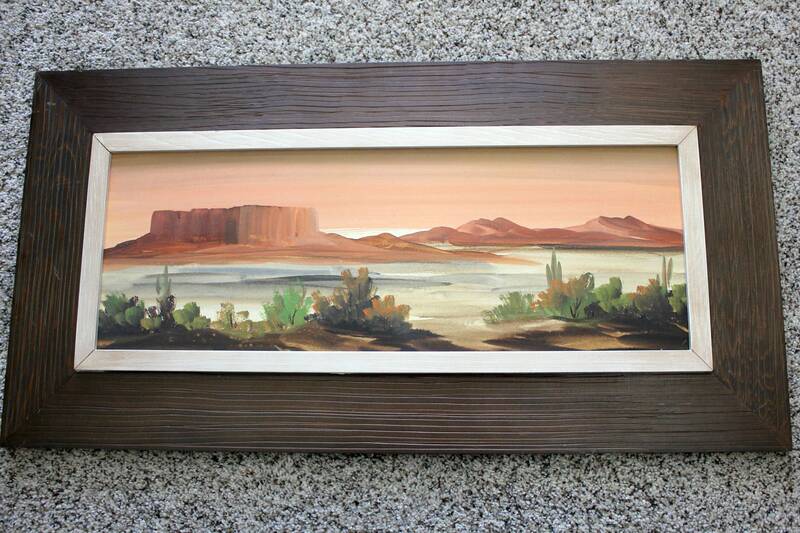 Overall dimensions including the frame are 28.75" x 14.75" tall. The paintings themselves are each about 21.75" x 7.75". 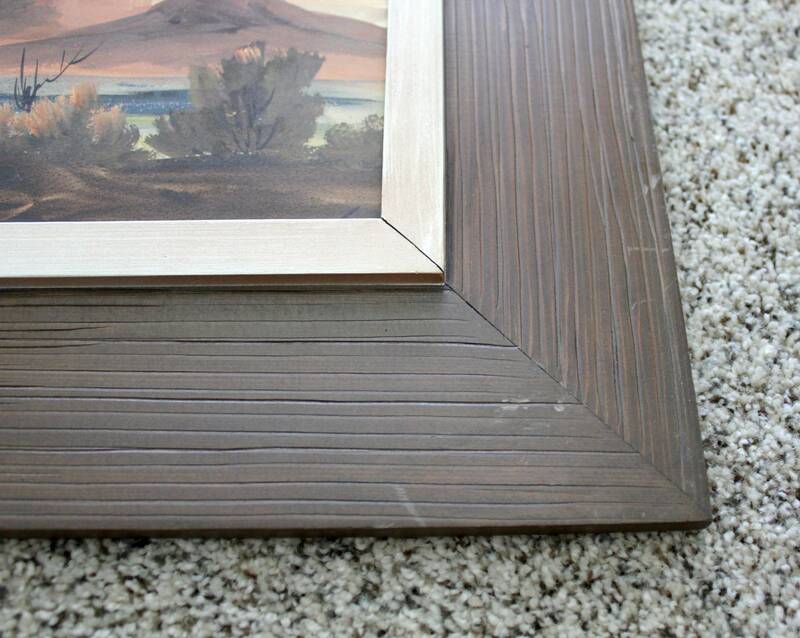 The paintings are in good shape. 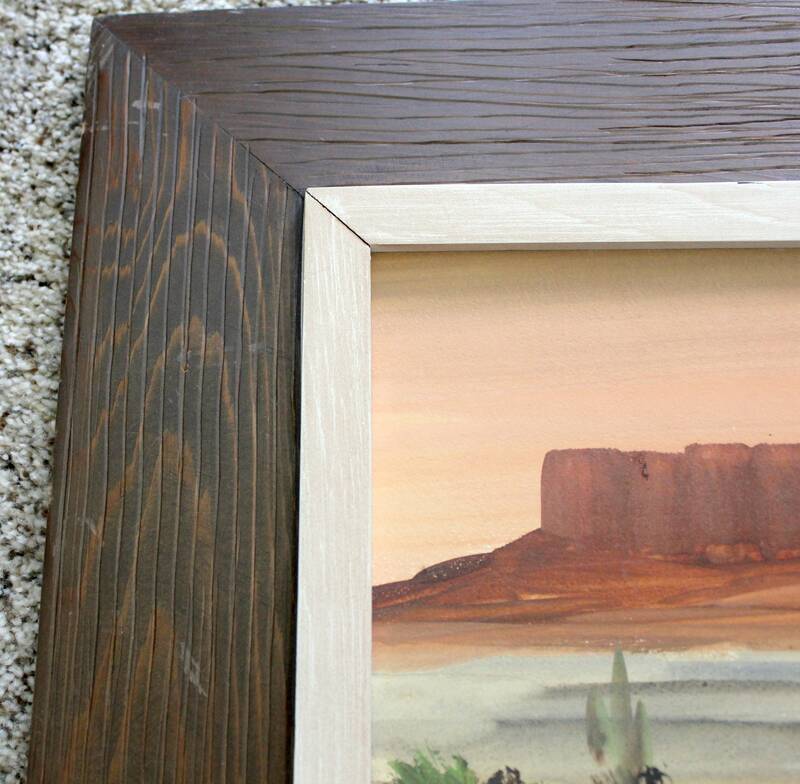 The wood frames have blemishes here and there. I've photographed the worst in close up on each painting. These would compliment many decors with their earth tone colors.